The most useful food prep tool just got better. Cuisinart’s Mini-Prep Plus Processor now features a larger 4-cup (1 L) bowl with a convenient handle. The auto-reversing SmartPower Blade feature and chop/grind touchpad control let you chop or grind ingredients instantly at the touch of a button. JUST THE RIGHT SIZE - 4-cup (1 L) work bowl handles most of your everyday food prep tasks. PRECISION PERFORMANCE - SmartPower® blade automatically reverses direction to chop, grind and more. 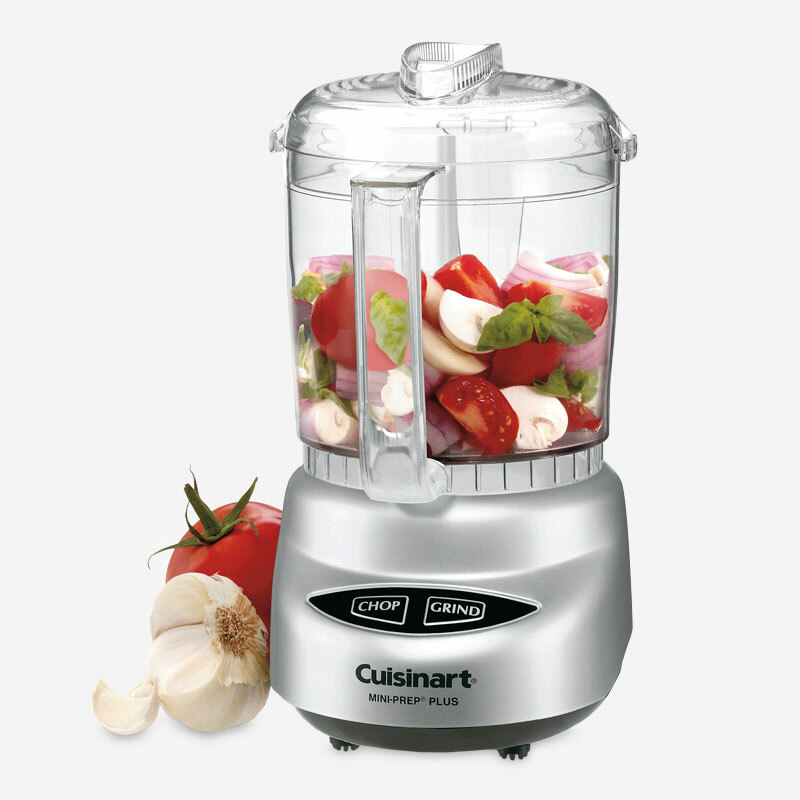 VERSATILE FOOD PREP - Chop, mix, grind, purée or emulsify with the touch of a button. STAINLESS-STEEL BLADE - Superior chopping and mixing technology. 8.25" x 5.50" x 10.50"